The number of digital buyers continues to rise every year. “In 2017, an estimated 1.66 billion people worldwide purchased goods online. During the same year, global e-retail sales amounted to 2.3 trillion U.S. dollars, and projections show growth of up to 4.48 trillion U.S. dollars by 2021.” The statistics are not that surprising as shopping online offers so many advantages including time savings, fast access to a wide variety of products and services, easy access to cost-saving promotions and much more. While E-Commerce provides a way for companies to exponentially increase revenue, if the user experience goes wrong in any step of the buy flow, shoppers will abandon their cart and sometimes never return. That is precisely what happened for me recently. I received a promotional email from Macy’s informing that I can “save 30% now with a Friends and Family promotion.” It sounded enticing so, I clicked on the “shop now” button in the email and arrived at Macy’s home page. Where my online shopping journey went all wrong is when I filtered down in the side navigation and clicked on “petite tops.” I expected to see a variety of shirts that may fit my body size, but instead, I arrived at a page that displayed an error with no other content. I went back a screen and tried again but continued to get the same annoying message saying “Sorry, this page is no longer available.” At that point, I left the website and bought from a different online store instead. I had no patience for a bad user experience. I imagine Macy’s is not only losing me as a customer but other petite shoppers too. Since I really wanted the shoe, I decided to turn off my iPad and start over using my desktop computer. Fortunately, I had success in choosing the size, but then, I had an issue with picking the color. The website said “Black,” but the image of the shoe displayed a brown color. I decided to proceed with my transaction knowing Bloomingdales has a great return policy and felt no risk in purchasing, but I was not 100% sure which shoe color would be delivered to me. The experience caused me to second guess my purchase decision. While I did not abandon my shopping cart, I bet others leave the website and visit a Bloomingdale’s competitor instead. Message Continuity Matters. Macy’s did a good job in showing the same promotional content in the email (pre-click) and on the landing page (post-click). This helps avoid shopper confusion early on in the customer journey (learn stage). Make It Simple To Shop and Buy From ALL Devices. Websites must be designed with mobility in mind. I should not have had to switch from my Ipad to a Desktop computer to complete my transaction. Design based on UX and CX best practices. It is not guesswork. There are clear guidelines for creating and optimizing websites, especially with E-Commerce capabilities. Be sure your team includes experts to ensure business success. Make It Easy To Get Help. 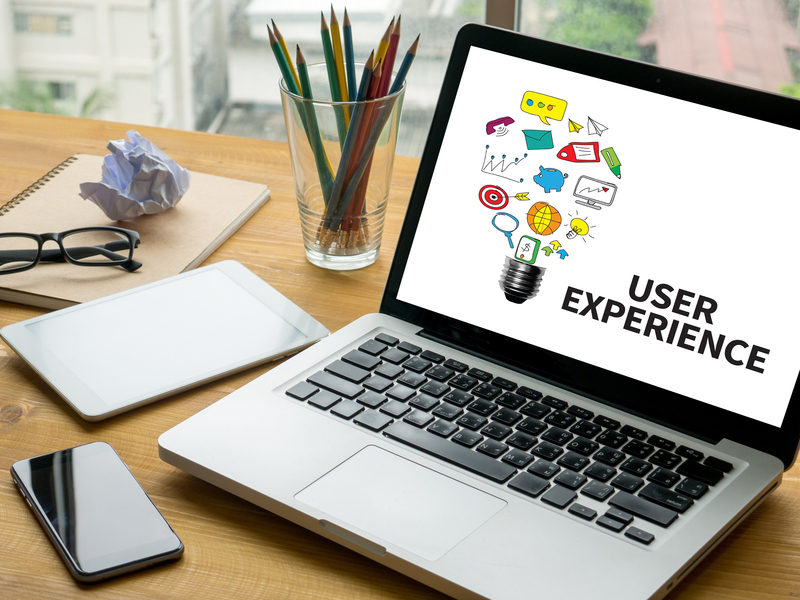 While both companies fail to create flawless user experiences, they do effectively provide online shoppers an easy way to get support. I noticed the different options to get help (i.e. calling an 800# and chatting online) at the moment “pain points” arose, which is a smart move and best practice. Read more about E-Commerce and DoingCXRight. Previous Post How Well Do You Understand AI Applications? Next Post Let’s Get You Certified as a CX Professional!